The converging ecosystem of UC and CC. A look at the latest trends. Over the years, we’ve watched key players in contact center technology evolve their solution positioning from enterprise communication with contact center applications, to unified communications (UC), to converging contact center and UC. Throw in a few other (sometimes dangerously vague) buzz phrases like business communications and collaboration, and it can get confusing! Where does the contact center fit as the products, labels and marketing messages change? This article helps you—the buyers of all this stuff, whatever it’s called—understand the latest trends and what they mean. There are good reasons why vendors change market positioning. They want the market to take notice as their core technology advances, their product portfolios offer more complete and innovative solutions, and/or they’ve found a new way to fulfill the next big customer need. They want their ever-expanding product lines and associated messaging to resonate with buyers. For years, unified communications (UC) has been the “holy grail” of product positioning for many vendors (and analysts and consultants). It targets all voice communications (including call center solutions), as well as a variety of media and the related needs for enterprise and contact center users. UC also encompasses things like collaboration, presence and IM, which often come from the data side of the information technology (IT) department and associated vendors like Microsoft. In our experience, this term worked for IT and telecom buyers, but not so much for contact center leaders. In the latest attempt to describe the communications ecosystem, the buzz is all about “convergence” of UC and CC. Some are reviving and redefining an all-encompassing term—business communications—while other rumblings point to terminology that resonates with the “digital natives” who are increasingly the users and buyers. Whatever it’s called, the new grail quest is timely given the flurry of acquisitions, partnerships and integrations to offer comprehensive corporate communications solutions and the need to address a broad range of media, not just voice. (In fact, voice seems to be rapidly sliding down the preferred channel list—see sidebar.) Vendors are also looking to take the concept of a “suite” or “one-stop-shopping” (and the associated “one neck to choke”) to a new level, thereby elevating the appeal to both buyer and seller. Enterprise communications includes voice communications (aka PBX) and messaging (voicemail, email, FAX), with integration or consolidation of all messaging in one place using enhanced and combined user interfaces (e.g., speak email, access voicemail from email, etc.). Collaboration can include workstream or business process management and communication components such as presence, IM, video, web presentation, web and video conferencing, and document sharing. Many companies do just fine with an isolated IM/presence solution, with the most common being Microsoft Skype for Business (previously Lync). Some contact centers use the IM tool offered by their contact center application vendor when collaboration is only required within the contact center, and presence may be integrated with the workstate. Vendors consistently emphasize three elements of their solution portfolios—cloud, mobility and industry verticals. Cloud-based solutions offer a host of customer benefits that we’ve captured in previous articles. “Mobile” within an enterprise context responds to the “bring your own device” trend as well as offering a consolidated interface on any device—mobile or fixed, PC, tablet or “phone.” Mobile within the contact center context places emphasis on customer media choice based on use of a mobile phone or tablet. Vertical solutions tailor a vendor’s offerings to specific industry requirements and add a communications “story” or use cases with business value to embellish the list of tools. Figure 2 provides a snapshot of the messaging we see from contact center technology vendors. However vendors position or label their offerings, buyers need to net out the “so what?” of it. The contact center is only one component of overall corporate communications and only one component of what most vendors offer. Every corporation varies in the overall communications plan that has been defined (typically by IT). So every contact center has to figure out where their technology requirements “fit” with IT’s current environment and plans for the enterprise, and where and how it needs to diverge based on its distinct needs. WFM, QM, dashboards/scorecards, performance management, etc. All of the components listed are crucial to success and contact center technology buyers should dig deeply into the features and functions within each category. However, from the PBX, many contact centers simply need a voice path—as long as it’s stable and reliable. IT generally lacks a compelling case for replacement/upgrade of the PBX until it becomes unstable or unsupportable. We have seen an increase in companies piloting Skype for Business, often in IT first, as the PBX replacement because it provides the basic voice path and is integrated with desktop tools such as Outlook. 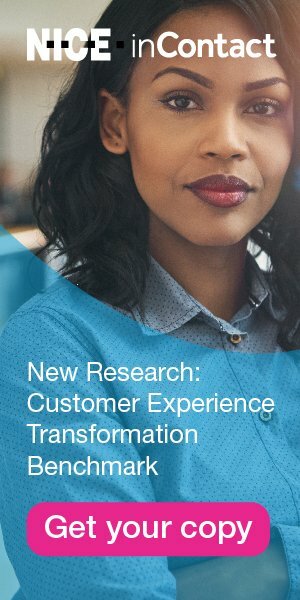 So the motivation for a consolidated, consistent solution for the enterprise and the contact center is quickly compromised, as Microsoft is not the answer for the center’s needs. Cloud offerings and their inherent attraction to contact center buyers (including less reliance on IT) compound this apparent conflict between the converged world and the ease of buying, implementing and “integrating” subsets of functionality. The contact center, therefore, usually can treat the enterprise voice path as a commodity and the limited collaboration tools they need as easily addressed, and concern themselves with the contact center components they require—whether premise or cloud. As Table 1 shows, they have a variety of options for fitting the contact center in with the enterprise and collaboration tools, with varying degrees of integration. As you think about where the center fits in the overall ecosystem, consider the need for consistency from a technology perspective (see the sidebar, “Don’t Forget the PBX,” in the January 2016 Tech Line column, “From Best-of-Breed to Standalone to Suite”) and, perhaps more importantly, from a process perspective. Do you need more from your “PBX” than an available and stable voice path? For example, will you transfer calls throughout the enterprise? Are your collaboration requirements more than just an IM/presence tool for the center because you need access to SMEs throughout the organization? If so, you’ll need to see if they are available through presence or workstate information. If you need tools for customer collaboration (e.g., web co-browsing, video), do your requirements have implications for the overall enterprise solution? The answers to questions like these will refine how your contact center technology fits with the overall enterprise communications system. In a perfect world, the contact center’s technology procurement is part of an overarching IT strategy, and any purchase makes progress along a defined roadmap. The roadmap includes an end-state vision that incorporates all the components we have been discussing, along with an integration plan to address process consistency. Very few companies replace all technology at once, so the plan ensures that each purchase progresses toward the end-state vision. Short of a full roadmap, purchases should not be viewed in isolation. Think of how your current purchase fits with where you are and where you will be going (to the degree it’s defined). As you consider each purchase as part of a whole, don’t forget about collaboration. It’s an element often dealt with separately, but there are some considerations for how you collaborate within and outside the contact center. Don’t view the contact center as fully separate from the PBX and other enterprise technology decisions. IT may not always focus on the contact center when making their plans or you may be “doing your own thing,” but some level of integration will probably be required. Explore the options as part of the purchasing process. Understanding your requirements and how they fit in the overall communications ecosystem ensures that you retain control of your purchase and that current vendor labels and positioning won’t cause you to go astray. What’s Your Path and Device for Voice Communications?